which centers around the revelation of true identity of a popular writer of children's books. Oliver Ryan is a very famous author of a children's books series. He is married to Alice, his book's illustrator. On the very first chapter, we read an account of Oliver of how he sends his wife into coma by violently hitting her and he is saying that no one is letting him see his wife in the hospital. Sad Oliver! My heart simply welled up with this honest account, where a man becomes way too emotional and hits his wife but then after the act he is feeling terrible sorry! And I was so wrong, since this was just the beginning. Next chapter is about Alice's ex-boyfriend, who narrates how Oliver stole his girlfriend from his life by whisking her away to the Greek Islands and proposing her and how his dreams with Alice were shattered. Moreover, we were also introduced with Alice's childhood and with her mentally defected brother, Eugene. Read the rest of the chapters to see the transformation of a good man into a cold, deadly monster. 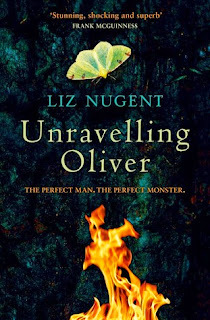 This is Liz Nugent's debut book and after reading the book, I'm screaming for it's movie adaption! God! It's sinister and I never met anyone this much cold-hearted in my life! From the very first chapter, we are glued to the accounts of each and every character as they narrate about their past experience with Oliver on the wake of Alice's hospitalization. And just like a fool, we fall for Oliver's sorry state from the very first page, I hated when Alice's boyfriend said that he stole her from his heart, then I hated that French estate Madame, when she said, Oliver became like a family to her father and her son. Then I again hate Moya, the soap actress neighbor of the Ryans when she seduced a good man like Oliver. And so when the accounts of these three people repeated, the hazy picture about Oliver's demeanor became crystal clear, but at the end of every chapter, the author left us with a truck load of questions and mysteries. For a first time author, Nugent's prose is articulate and free-flowing like a river, moreover, the way she spun the whole story with alternate accounts of each important character in Alice's life which is kept brief and to-the-point, gives the story a good pace. The best chapter was that of Eugene, where the author embodied herself into the mindset of an adult man with the brain of an 8-year old. And in that very chapter, we saw the true color of Oliver of how he used to hit Eugene and used to disrupt things and used to put the blame on poor Eugene. And the way she narrated the whole chapter, felt like it was actually narrated by someone mentally challenged, moreover, the author strikingly brought the emotional pain of such a human being with her prose. Every chapter was a hallmark in Oliver's dark world, not only that the author even delves deeper into Oliver's past and the reason behind his violent attitude. Every character talked about Oliver and through their narration we became acquainted with those characters itself. The portrait of Oliver was very intricate, but there were some whom I wanted to so much, like Alice, Eugene, Oliver's friend from school, meaning some characters will make you fall for them so much that it'll make you hate the author for not including more chapters about them. Thus the plot is made in such a way that in the beginning you're bound to fall for Oliver, midway through the book, you'd love to hate Oliver and in the end, you're simply scared of this so-called honest man! The author even feels our heart with a feeling of empathy for a little French boy who had a sad, unfortunate and loveless childhood devoid of any warmth of a real family! Moreover, I simply hated the author for not revealing the darkest secret of Oliver in the face of the world, maybe that's how the author wanted us to have some closure on Oliver's psychotic nature. 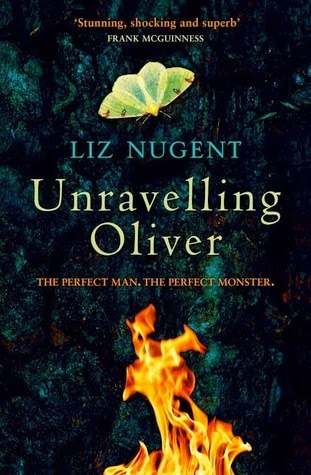 The whole mood of the book was sinister and scary, the more revelations of Oliver's imperfect world was happening, the more it'll grip you with fear and a feeling of hatred. The author even explores the period of history in Europe when mixed race especially black skinned people were subjected to racism and how it was considered a sin to have a mixed-race baby. Moreover, the author have layered her the past of Oliver's life with Catholic churches and Psalms and it opens out eyes to see that tough period when it was really difficult to be either gay or to have a baby out of wedlock. The Irish and the French flair is very vivid in the author's storyline. The book enthralled me so much that it'll take time for me to go out of that aura created by the author. Moreover, Oliver is imprinted on my mind, and it'll be really difficult to shake off his darkness from my mind. Verdict: This book is 100 times better than Gone Girl or any other dark thriller. Read this, you're simply gonna lose yourself! An unputdownable for sure! Courtesy: Thanks to Siobhan McDermott, from Penguin Ireland, for providing me with a copy of Liz Nugent's book. In her early career Liz Nugent worked as a stage manager in theatres in Ireland and toured internationally. More recently, Liz has written extensively for radio and television drama. She has been shortlisted for the prestigious Francis McManus Short Story Award. She lives with her husband in her native Dublin. Unravelling Oliver is her first novel.